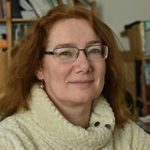 Meet Ingrida Gečienė Director of the Institute of Social Innovations based in Vilnius, Lithuania, talking about their involvement in the SciShops project. Q: Firstly, tell us a bit about the Institute of Social Innovations. The Institute of Social Innovations is an independent, non-profit organisation that performs fundamental and applied social research, and runs projects related to social, educational and science policy and science communication. We have more than 10 years of experience working in this field. The underlying purpose of all our projects is social innovation. For us, it’s not just a trendy word as innovative projects and new approaches are at the heart of our work. One such innovation was the Science Shop that we set up in 2013. It was the first Science Shop in Lithuania; a second was subsequently established three years later. Now, as part of SciShops project, we are looking for ways to strengthen community-based participatory research (CBPR) in Lithuania and Europe. You can read more about our Science Shop in a case study produced by the SciShops project. Q: What is the Institute of Social Innovation’s role in the project? In the first half of the project, we coordinated Work Package 4, which has created a set of resources to support the establishment, development and sustainability of Science Shops. We were also actively involved in WP2, particularly on case studies of existing science shops and an international survey of researchers, communities, and policy makers. We were glad to be able to use our strong research competencies in performing these tasks. SciShops is also about sharing experiences. We are one of two partners that already run a Science Shop and we have the opportunity to share our experience throughout the project. For example, our understanding of the questions and challenges that institutions face when setting up a Science Shop has informed the development of WP4 and ensuring that documents are targeted and user-friendly. We also share our experiences through other activities, such as the summer schools and twinning. Q: Tell us a bit more about the resources that you have been producing. In WP4, we created five documents, most of which are all now available on the SciShops web platform as “Resources”. These include a series of six training modules for Science Shop staff; a Science Shop establishment guide ; a roadmap for CPBR ; a strategy for participatory research in communities and capacity building of existing science shops ; and a Science Shops scenario collection . We are particularly fond of the ‘Scenario Collection’, which breaks down the task of running a science shop into a series of interrelated aspects, such as organisational model, funding, project implementation staff, and others, and describes options related to each of these aspects. It is an innovative approach that we have not seen used in any other material on Science Shops. All the resources are primarily designed to support new Science Shops but can also help to inspire and inform existing Science Shops’ practices. For example, there is a particular emphasis on the participatory dimension, which is something that often needs to be strengthened within Science Shops, and we also address ways to overcome some of the challenges that Science Shops face as they seek to become sustainable. The SciShops project is helping us reflect on our own practices, strengthen our work with local communities, and refresh our approach to CPBR. We are trying to update our practices according to the principles incorporated into the WP4 deliverables and the good practices that were collected in WP2. People that work at our institute are now better prepared to work according to those principles. For example, in one project that we are currently implementing together with a community organisation, we have introduced a much stronger participatory dimension. This will help us to increase the quality and impact of our projects. To date, we have also organised two SciShops events with researchers and community organisations within Lithuania to share perspectives and discuss ways to promote CBPR. One was particularly fruitful and has already resulted in the establishment of new partnerships. What I like about the SciShops project is that it takes a look at the whole ecosystem of Science Shops in Europe (and beyond), at the environment and conditions of Science Shops, and looks for ways to overcome challenges and strengthen Science Shops in a changing environment. The aspect that I am particularly excited about is the participatory dimension and how involving relevant stakeholders can broaden the impact of Science Shops. Many of the Science Shops that we interviewed or researched work only with their ‘clients’ on research projects, which is a missed opportunity for wider and longer-term impact.